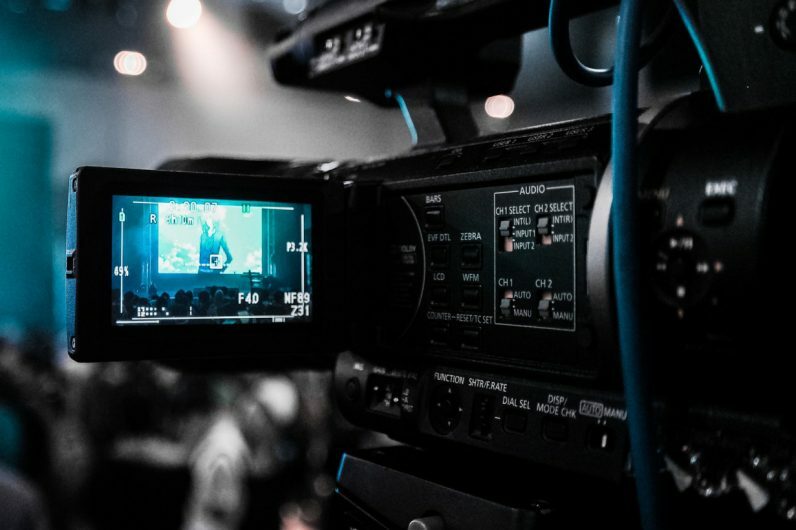 The versatile world of video marketing has seen a HUGE evolution over the past couple years. Many experts are staying that it is the future of content marketing as a whole. As 2017 begins to come to a close, it’s clear that there is a lot in store for 2018. One of the major observations throughout the recent developments in video content is it’s becoming more and more like real life. It gives brands golden opportunities to connect with people in way that is distinctively their own. Here are 7 strategies that should be a driving force behind your video marketing efforts throughout the coming year. It’s no secret that users today like to feel empowered while making decisions. Video is one of the best ways to accomplish this. According to Vidyard’s 2017 Video in Business Benchmark Report, 90% of users claim that video plays a big role in purchasing decisions. When you are creating your branded videos, don’t just focus on the product or service you are selling, focus on the value you are providing. In the process of video creation, the most important thing to keep in mind is you need to make it all about the viewer, as opposed to all about you. Using video in your branding strategy is perhaps the most effective way to set yourself apart from competitors. Whether it’s the tone of the video, graphic influence, use of color, music, ect., these authentic elements need to be present throughout the entire strategy. Many B2B companies are using video content to educate customers on what they offer. Notably, webinars are quickly becoming one of the most fruitful avenues to not only inform, but to cement branding efforts. A collaborative study conducted by CMI and Marketing Profs found that nearly 60% of marketers use them in their content strategy. Throughout every session, there should be a clear emphasis on who you are and what you represent. Videoconferencing and webinar tools like ClickMeeting allow you to customize every aspect of your webinars to include your colors, logo, and visual elements to ensure the experience reflects strong brand recognition. In order to engage with the audience in a way that drives conversions, brand association needs to have a strong presence in every piece of video content you produce. YouTube is the undisputed king of online video. Over 1 billion hours of content are consumed every day on the platform. It is also the second largest search engine in the word. Even more, mobile consumption has been on a steady rise with no signs of stopping. There is no reason in the world not to upload copies of your videos to YouTube. As it is owned by Google, the SERPs now pull video results to impact your rankings. So, just like with all your other content, optimizing tags, descriptions, and adding links to your website lets the crawlers know what your video is about to help drive traffic. Facebook video is quickly making a name for itself as one of the top video platforms on the web. Over 8 billion videos are watched on this channel every day. Back in 2014, Mark Zuckerberg claimed that most of the content on Facebook would be video by 2020. As it is the leader of social media in terms of usage numbers, making sure copies of your videos make it on Facebook is essential in your marketing mix. There are many reasons to transcribe and translate your video content. The most obvious ones are to ensure better comprehension, accommodate different cultures, and provide accessibility to hearing-impaired viewers. There are a number of anti-discrimination laws protecting the rights of people with disabilities. Adding captions is an easy way to avoid any issues. On a more technical level, including these components can play a role in boosting your SEO. For these purposes, 3PlayMedia is an easy-to-use tool that enables you to add subtitling to your video content. Once you have completed the text, you can translate it to a wide range of different languages. One of the core advantages to video content is you are able to create a humanized tone people can relate to. Generally speaking, most people don’t want to watch videos that feel like they were produced by a robot. Regardless of your industry, your engagement levels stand to benefit from a conversational voice with a dash of humor. A little laughter can do wonders to convey a sense of authenticity. It creates an emotional response of which viewers will immediately associate positive feelings with your branding efforts. Year after year, the internet is seeing record numbers in the sheer volume of video content. Brands need to go the extra mile in making themselves stand out, and being funny and conversational is a surefire way to do it. 360 video is a newer addition to the modern marketing mix. Essentially, it gives people a top-to-bottom viewing experience that puts them right in the center of the action. While this format is still very much in the testing and refining stage, the potential for brand engagement is through the roof. The overarching goal is to motivate people to consume more content and interact from a first-hand perspective. For as much video innovation there has been in recent years, it’s safe to expect 360 videos will make a big jump in 2018! Ah, virtual reality. After decades of science fiction movies and bold predictions, it appears that VR is finally on the cusp of seeing widespread adoption across the planet. From a marketing standpoint, the one factor that sets this format apart from everything else is it completely eliminates outside distractions to create a laser-focused impact on viewers. Brands everywhere have been testing the waters of VR and how it can promote messaging in a more polarizing fashion. Throughout all the buzz and hype rippling through the digital atmosphere, one thing is blatantly clear: virtual reality is going to play a HUGE role in how the world consumes content in the future. Solutions like EON Reality are working to provide people and businesses with the right tools to craft immersive VR experiences that stick with people. 2018 should be a year where ALL brands take this innovative concept into consideration. Video content isn’t just here to stay; it’s here to take over the digital landscape. While written content will always hold value, marketers and thought leaders will need to step up their video marketing in the (very) near future. 2017 had no shortage of surprises in this regard. Chances are, 2018 will have plenty more to get excited about.